created by Dr. Michael A. Triglia. 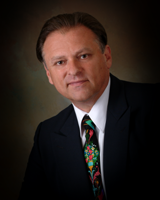 Dr. Michael A. Triglia has been in private practice for over 20 years. In addition to his work in chiropractic, he is a motivational speaker, an avid fitness enthusiast, and holds some of the highest degrees attainable in the field of martial arts. 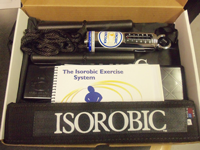 After using the ISOROBIC™ exercise system for over 25 years as a baseline program for himself, he realized the benefit of such a program for anyone at any age. He founded the ISOROBIC™ LIFE IMPROVEMENT CENTER, GLOBAL HEADQUARTERS in 1998 with the vision to enhance both the chiropractic patient's overall health and recovery from injury as well as the Doctor of Chiropractic's practice. He piloted the dynamic reconditioning program in his office in Delaware with amazing results. He then designed the program so it could easily be implemented by virtually anyone, in the comfort of their own home. 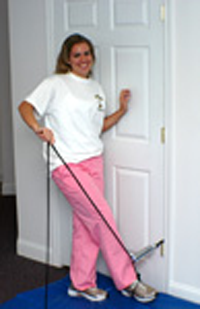 This simple and affordable exercise device enables most people to achieve fast results! The ISOROBIC™ program can be done in 2-15 minutes a day at the office or in the home, or almost anywhere you travel. Dr. Triglia and his team at GHQ are on the cutting edge of the new Trillion Dollar Fitness Revolution, and they are ready to show you how you can be a part of it! "As a Doctor of Chiropractic, I am dedicated to the extreme measure to educate, evaluate, motivate and activate kids, teens, adults and seniors in our communities - locally and globally, to look better, feel better and live longer. We accomplish this through the Total System Concept of Wellness with a special emphasis on fitness in 2-15 minutes a day for the person who needs rehab, to the one who has never exercised but wants to start, to the professional athlete who wants to enhance their existing program."